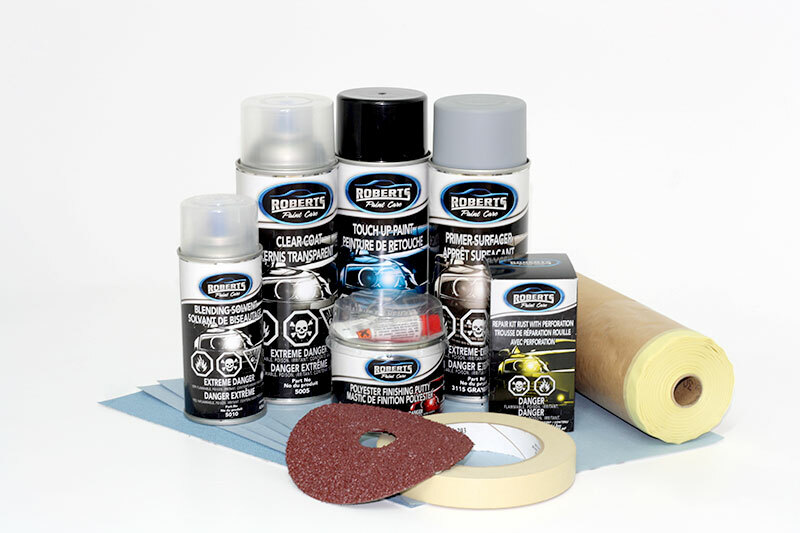 This complete kit includes everything you will need to successfully do the repair shown in the video “How to repair a rust spot on a car“. The kit will include sanding disc and paper, masking tape and masking paper, putty, primers, paint, clear and blending solvent. 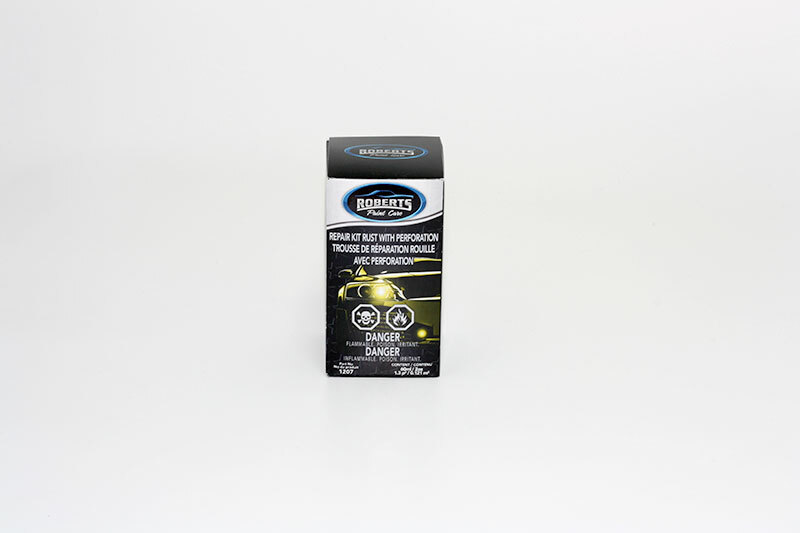 All you need to do, is first find and select your color, then choose the perfect size of touch up paint for your repair. 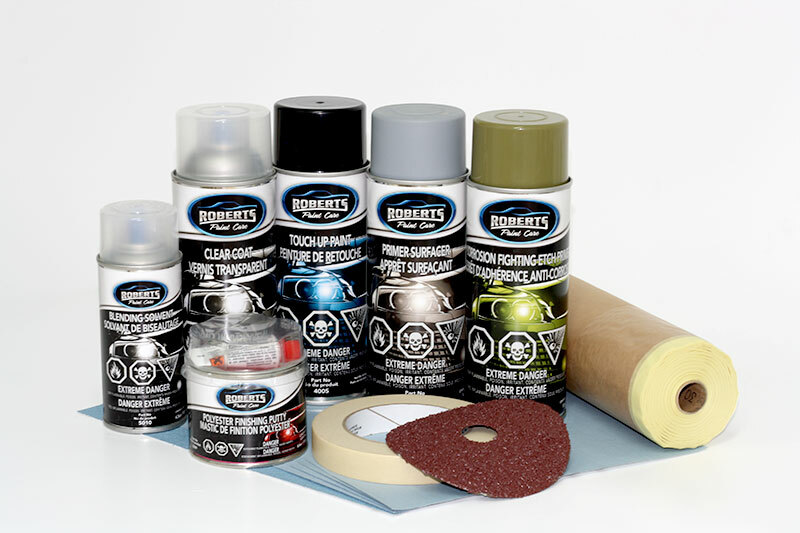 Products included: 1 economical masking tape (3/4 in), masking system 2 in 1 (12” x 72′), 1 resin fiber disc (4×7/8×24 grit), 2 sheets of sanding paper (180 grit), 2 sheets of sanding paper (400 grit), 1 polyester finishing putty, 1 corrosion fighting etch primer, 1 primer surfacer, 1 aerosol can of touch up paint (must select color and size ), 1 clear coat and 1 blending solvent.